Bishop Computer Corp Authorized Avaya Reseller providing IP Office technical support expertise | Network infrastructure | Structured Cabling. 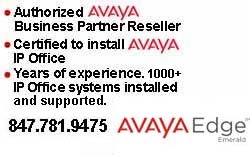 We are an authorized reseller of Avaya SME products, namely Avaya IP Office. 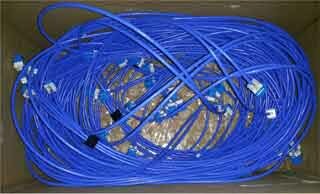 IP Office technical support is our expertise. To be able to sell, install, support and maintain Avaya IP Office, you need to be certified. As you can see in the IP Office panel to the right, we are certified to sell, install, support and maintain IP Office. Besides being certified, we have staff that are experienced on IP Office since the product first came out years ago. We've been there every step of the way through all models and releases. SIP Certification is not an Avaya certification, but Avaya endorses The SIP School certification, since Avaya doesn't have that cert. The SIP School provides a very intensive course, which was taken and proudly passed. We have extensive experience in SIP as well. 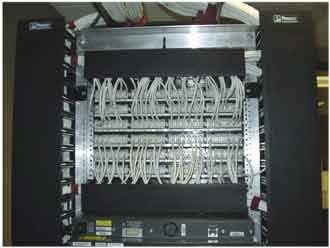 We have MCSE / MCP certified network engineers as well. EMAIL or call 847.781.9475 for a quote, support or sales. AVAYA IP OFFICE R11.0 Available NOW! A perfect fit with Avaya IP Office. http://pinterest.com/pin/566327721862128913/ We used the client's 44xx phones + 9508's as well. 135 phones with room for adding 60 more!